Music experiences within a psychotherapeutic relationship can be transformative. Music may connect you to parts of yourself that are difficult to communicate in words alone, touch on otherwise dormant feelings and memories, expand awareness of your inner world, and help you better access your strengths and resources. Music can also help you connect with others — the therapist, a partner, your child, or other group member — in new, authentic, and emotionally honest ways. Music therapy can be helpful for people who have difficulty expressing themselves in words, or for those who can easily talk about their issues but find that deep and lasting change is more challenging. It might also be suitable for you if you enjoy listening to or playing music as a natural resource for coping with challenging circumstances. If you have a wounded relationship to music (performance anxiety, or experiences of being told you weren’t “good enough”), and music is not pleasurable for you anymore, working with music, within a trusted therapeutic relationship, may be a way to invite healing into musical and other areas of your life. 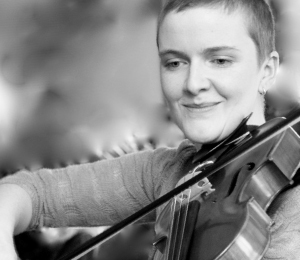 Learn more about the different types of music therapy Suzannah offers, including Creative Arts Therapy and Guided Imagery and Music. You do not need to have any musical skills to participate in or benefit from a music therapy process — music therapists are less concerned with how “good” you perceive your music to be, and more with how the music feels and what it means to you personally. The music therapist’s role can be about helping you deepen your relationship to music so that you can more effectively use it for overall wellbeing, even outside of the therapeutic relationship. As you deepen your relationship to music, you may find that your relationships to yourself and others will experience parallel transformations.